On Friday 30th October, London Greek Radio are hosting GREEKY FRIDAY a Halloween themed Greek night @ The Maze Inn. LGR DJ’s Andreas Demetriou and DJ Magis will be on the decks, mixing up a selection of the best Greek & English hits from 9pm till 3am. We’ll keep you dancing with all the best Modern Laika, Greek Club, Greek Classics, English club anthems, RnB, House & we’ll even be ending the night with a few zeibekika! Fancy dress is encouraged and a prize will be given for the best male & best female fancy dress outfit on the night! Our online ticket shop is now closed. A limited number of tickets will be available on the door. To buy tickets for this event please visit our events page: Greeky Friday tickets from Skiddle. On Saturday 3rd October, Prosopa Events presents ‘Guess who’s going to die tonight’ (Μάντεψε ποιος θα πεθάνει απόψε) for two exclusive shows which will take place on Saturday 3rd October at The Mermaid Theatre in London. 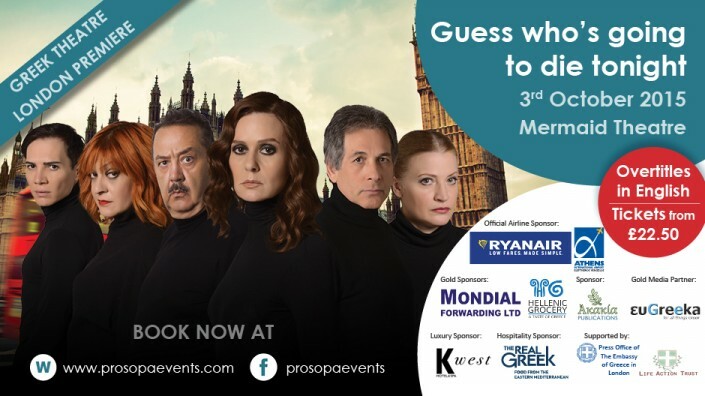 The Greek theatre play with iconic actress Katia Dandoulaki is launching the 3rd successful season with a UK première in London. The play is a gripping psychological thriller, promising a night full of mystery. 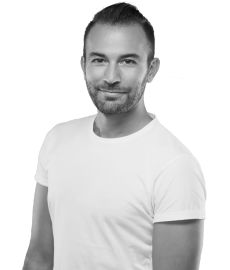 Based on Robert Thomas’s ‘Trap for the lonely man’, the play was adapted by Mihalis Reppas and Thanasis Papathanasiou and revolves around the story of a woman, who rapidly started losing her mind after her husband’s disappearance. Being the first Greek theatre play of this kind in London, the show is set to be a unique one, suitable for all sorts of ages. ‘Guess who’s going to die tonight’ is a gripping psychological thriller concerning a woman (Kathryn, played by Katia Dandoulaki) whose husband has mysteriously disappeared. Kathryn reports the disappearance to the police, and soon the police inspector (Tasos Kostis) and the chalet owner (Eleni Krita) visit her at the chalet for the investigation purposes. The routine inspection suddenly turns into a chain of unexpected events when the man claiming to be her husband (Thanos Kalioras) suddenly enters the room! Kathryn is convinced of some sort of conspiracy around her, as the man and various witnesses confirm that he is in fact her husband, but she knows it’s not him! Can the two witnesses (Tzois Evidi & Pantelis Kanarakis) solve the mystery or not? Kathryn increasingly believes that everyone around her aims to drive her mad for some reason… But why?! Who can guess the finale? For more information and to book tickets, click here. © 2019 London Greek Radio. All rights reserved.